In continuation to our previous blog on what the government has in bag for the startups this blog will take you through what the budget has which can help you make your startup successful. With so many startups coming up now and then, the government has now realized that how significantly it can drive our social and economic growth of the nation. This has resulted into coming up with initiatives likes Digital India, Make in India, and Start Up India, Stand Up India. In the Union Budget 2016-2017 though it has emphasized on different key areas like Agriculture, Rural Development and Infrastructure etc. but it didn’t stand up to the hopes of the entrepreneurs There is uncertainty whether union budget 2016-2017 would truly help India to startup and stand up? According to the government notification, an entity will be identified as a startup. A time upto five years from the date of incorporation. The turnover has to be less than 25 crore in the last five financial years. It is working towards innovation, development, deployment, and commercialization of new products, processes, or services driven by technology or intellectual property. Compliance pertaining to 6 labour & 3 environmental laws will be allowed to be self-certified through the Startup mobile app. No inspections will be carried out under labour laws for a 3 year period. Startups classified as White Category as defined by the Central Pollution Control Board will be allowed self-certification under environmental laws, with only random checks proposed. In order to provide an equal platform to Startups (in the manufacturing sector) vis-à-vis the experienced entrepreneurs/companies in public procurement, Government shall exempt Startups(in the manufacturing sector) from the criteria of “prior experience/turnover” without any relaxation in quality standards or technical parameters. The Startups will also have to demonstrate requisite capability to execute the project as per the requirements and should have their own manufacturing facility in India. Corpus of INR 10,000 crore: Initial corpus of INR 2,500 crore and a total corpus of INR 10,000 crore over a period 4years (i.e. INR 2,500 crore per year). “Fund of Funds”: The Fund will be in the nature of Fund of Funds, which means that it will not invest directly into Startups, but shall participate in the capital of SEBI registered Venture Funds. Credit Guarantee Fund would help flow of Venture Debt from the formal Banking System. Corpus of INR 500 crore per year for the next four years: In order to encourage Banks and other Lenders to provide Venture Debts to Startups, Credit guarantee mechanism through National Credit Guarantee Trust Company (NCGTC)/SIDBI is being envisaged with a budgetary Corpus of INR 500 crore per year for the next four years. Long term capital gains tax exemption: New Section 54EE inserted to provide long term capital gains tax exemption if capital gains proceeds are invested by an eligible tax payer in units of specified fund to be notified by the Central Government, subject to conditions. The maximum investment allowed upto INR 50 lakh. Budget proposes to amend Section 54GB to provide long term capital gains tax exemption arising on account of transfer of a residential property if such capital gains are invested in an eligible startup by way of subscription of share subject to the tax payer holds more than 50% shares and utilizes monies to purchase new asset. Further, the Budget proposes to amend the expression “new asset” to include computers or computer software in case of technology driven startups. New Section80-IAC inserted in the Income Tax Act, 1961 to provide 100% deduction of the profits and gains derived by an eligible startup from a business involving innovation development, deployment or commercialization of new products, processes or services driven by technology or intellectual property, for 3 consecutive years out of 5 years beginning from the year of incorporation. The said benefit is available to an eligible startup setup before April 2019. However, MAT will apply. Investments made by incubators in Startups proposed to be insulated from the rigors of Section 56(2)(viib) of the Income-tax Act, 1961. Any consideration received by Startups for issuance of shares over FMV to incubators, not to be taxed in the hands of the Startup. Startup India Hub: The govt. would create a single point of contact for the entire Startup ecosystem and enable knowledge exchange and access to funding. Tracking the status of the registration application and anytime downloading of the registration certificate. Are bate of 80% on patent filing fees vis-à-vis other companies is proposed. latest schemes regarding Start-Up India initiated by our government. This information might be of some use to you… On 5th April PM Modi officially launched one of the schemes in Noida. The official portal has been set up. Now it has become even easier for you to get detailed information regarding the Start up India plan. The portal was made live on April 1 2016. You can find all the information regarding the enrolment into the scheme which includes the online application forms, how to apply for loan etc. To simply know the working just navigate to the “Action plan” on the portal. For all latest notifications, you can navigate to “Notification” Section. A pdf file containing the list of incubators can be downloaded by interested applicants. For List of SEBI Registered funds, you can Visit HERE. If you have any queries regarding the “Start-up India Scheme” you can make use of the official Contact Us Page. The whole world witnessed the launch of an ambitious programme in India on 16th January 2016. The launch event took place in Vigyan Bhawan, New Delhi. Many of you still might not be clear about the goal, highlights and features of Start-up India programme but through this article you can find all the available information regarding the same. 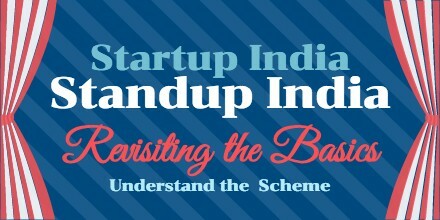 So if you have queries like – What is Start Up India Stand Up India Scheme ? Who can Apply ? How to Apply ? Application Form downloads etc, read the given information for the answers. potential when it comes to ideas; all they need is a promising opportunity or maybe a kickstart. Many people dream of starting up their own business, but due to financial or lack of opportunity they are unable to do so; hence Indian govt in the leadership of Mr. Narendra Modi has decided to offer a gift as a nation wise program- “Start Up India”. Mr. Narendra Modi in his speech acknowledged that Indians have ideas and capability, all the need is a little push. “Start Up India” is a revolutionary scheme that has been started to help the people who wish to start their own business. These people have ideas and capability. The government decided to give them support to make sure they can implement their ideas and grow. Success of this scheme will eventually make India, a better economy and a strong nation. Technology is evolving with a pace faster than ever. This has given birth to various new businesses like E-commerce, internet marketing etc. giving a great scope of development in such areas. Those who plan to start new business are eligible to apply. Gapeseed Consulting knows that setting up a business has its own constraints – forming a company, taking approvals, taking care of legal compliances and registration etc. It isn’t a cakewalk for others but it is definitely easy for our clients. We will walk you through all the steps required for your Start-up. During his speech at the event, Mr. Modi said that they are trying to make the youth Job Creators, rather than Job Seekers. He also said that one’s mindset should not be towards earning money in the initial phase, it should be rather on grabbing and using the opportunities. 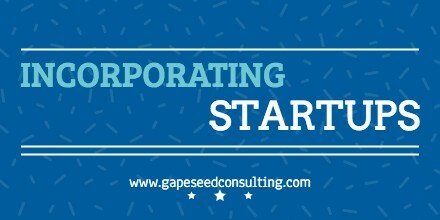 Start Up India Stand Up India Scheme – Action Plan in Detail and How Gapeseed Consulting can do it for you. A self-certification system has been launched. A dedicated web portal and mobile app will be developed. Arrangement of self-certificate based compliance. No inspection during the first 3 years. 80 percent reduction in the application fee of start-up patent. Inclusion of Credit Guarantee Fund. Relaxation in Income Tax for first three year. Special Arrangement for Female applicants. Introduction of Atal Innovation Mission: Innovation courses will be started for the students. As per the sources, the online application forms will be launched this month in April 2016. Interested applicants need to provide the required details in the application form. We will help you review you application so as it doesn’t get rejected. Gapeseed Consulting will be more than happy to help you setting up your own business. Our love for startups is forever increasing. And with our experience of working with them, we have realized that, Startups are natural rule breakers you got to come out of that comfort zone if you want to be the next big thing in the industry. But there is one area where you wouldn’t want to mess around with the rules and that is payroll and HR. To avoid any legal and financial litigation you must comply with payroll and HR laws. Some of your actions might drive you out of the business as well. 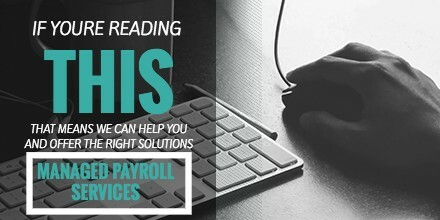 Keeping this in mind we offer Payroll services. Like other business strategy and planning, payroll services for startups need to be taken seriously and keeping our client in mind the following are the important consideration on the basis of which we provide our services. Payroll services for Startups should not be a problem. It should be a cake walk that’s easy to do and one that can be done on any computer or mobile device. To achieve these tasks we make sure that our clients aren’t confined to their office or required to phone in hours manually every time they want to run payroll. Having the ability and the technology to run payroll from anywhere in fraction of minutes is something that we focus on to provide our services to our clients. 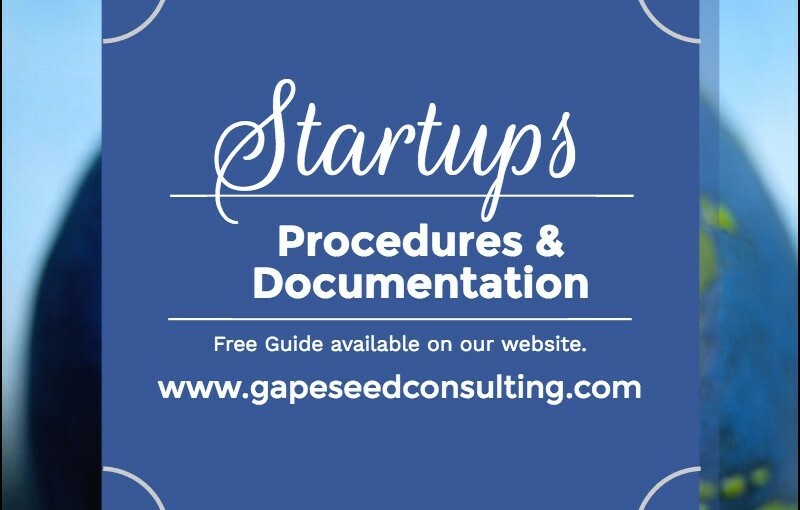 stration and will also manage it for you with the shared admin rights so that you can keep a tap on how Gapeseed Consulting is managing the Payroll Services for Startups. Gone are the days of paper-based payroll system, move on to a more advanced paperless system it would not require an immense learning from your side or big task, time-consuming training sessions. The transition should be smooth, quick, and easy. The software should be simple, straightforward, and well, user friendly to use. We will provide you the demonstration and will also manage it for you with the shared admin rights so that you can keep a tap on how Gapeseed Consulting is managing the Payroll Services for Startups. For many small business owners, cost cutting is a major thing, the payroll services they choose is often based on one thing – cost. But, when they get their monthly invoice, the amount owed can be significantly more than what they expected to pay. Unfortunately, hidden fees are common in this industry, but luckily not all providers “follow the rules.” A payroll provider’s services and pricing structure should be completely transparent so you know exactly what your invoice is going to be based on how many employees you have and the services you select and we assure you to give a transparent service. As we understand that Payroll Services for Startups are managed as they are having small teams and optimism resources. Other Payroll Services for Startups include, Generate Pay-Slip at the convenience of a click, Generate and Manage the Payroll Processes according to the Salary Structure assigned to the employee, Generate all the Reports related to employee, attendance/leave, payroll etc., Manage your own Security. You have to stay away from payroll providers who are not willing to partner and integrate with other HR and accounting systems. When a payroll system is easily matched with other types of accounting services, you own a great flexibility, more control, and better results. Similarly, it is important for us to understand small business needs in order to provide the most complete payroll package possible. In order to achieve these goals, the government has simplified the business registration process as well as the rules that govern the process. Now, entrepreneurs can start a company in India easily. Even, simple licensing application can be done through self-certification or third part certification system. With the integrated online portal and less paperwork system, entrepreneurs do not have to worry about the administration burden and are able to focus more on running the companies. With initiatives like Make in India, Startups have ocean of opportunity and with such a situation Gapeseed Consulting can be a perfect choice for your business to outsource the payroll services.